Your reservation for 2019 will be confirmed with a minimum 50% deposit, by cash or check. 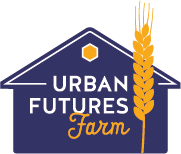 Please send payment to Urban Futures Farm, 928 Wilson St NE, Olympia, WA 98506. You will receive confirmation of payment within one week of receipt. The balance of payment is due by May 1. Questions? Call the Farmer at 360.338.8654.